If you haven’t seen the BBC’s “Lost Highway: The History of American Country’ then you’re in for a treat. This four-part, four-hour documentary follows the musical lineage from the Bristol Sessions to Nashville, from Texas to Bakersfield, and brings it all together in a beautiful story of heritage and style any songwriter would love. The history of it’s roots in mountain music, through bluegrass it’s first super star Hank Williams and honky tonkers. From the jazz fusion of Western Swing to the dominance of the adult-pop Nashville Sound through the extraordinary and game-changing emergence of female performers and the evolution of newer forms of the genre – country rock to alt.country and Americana. Featuring contributions from Emmylou Harris, Alison Krauss, Gillian Welch, Hank Williams III, Kris Kristofferson, Lyle Lovett, Dwight Yoakam and Dolly Parton among others. 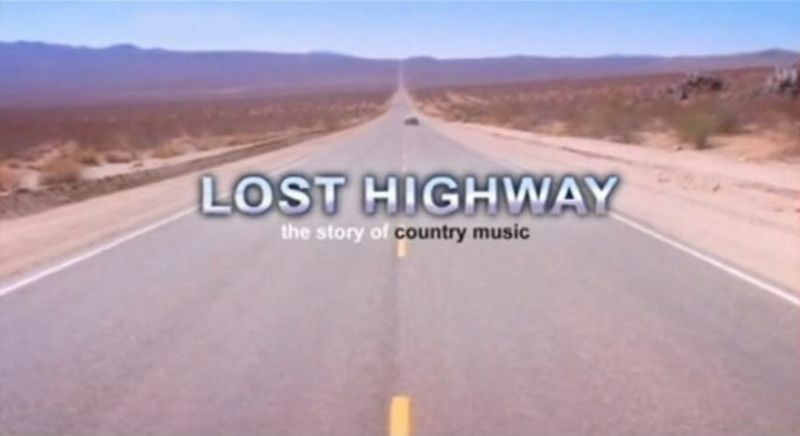 Lost Highway: The Story of Country Music is produced by William Naylor; the series editor is Michael Poole. Sit back with your favorite drink and enjoy. How would you go about buying this series on DVD. Good question! It used to be available on the BBC site, but it’s been gone for a while.